The places we've lived represent memory. I've lived in the same house all my life. As a kid, I always wondered what it would be like to move away. But I never did. And by growing up in the same city, the concept of "home" has been forever engrained in me. Nearly all the memories of my life so far, can be connected in some way or another to my home. 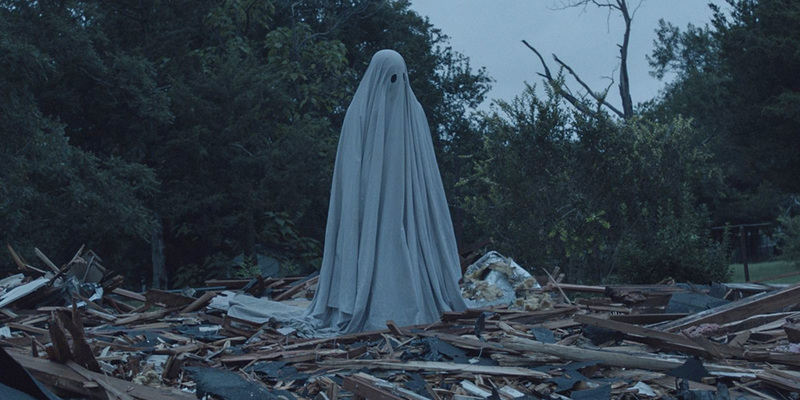 I recently just watched David Lowery's amazing "A Ghost Story," and I was extremely moved by the nostalgic tone and the deep meaning behind it. (See the trailer below). The story is about a deceased husband (C), who comes back as a ghost to haunt his suburban home while his wife (M) copes with his loss. From there, we are taken on a cosmic adventure through time, that explores mortality and what we leave behind as legacy. Unescapable death is what causes us to grasp for legacy. Everywhere we go, we leave some mark on existence as a whole. Every person we meet. Every decision we make. It's a terrifying thought, that everything you do makes an interminable mark on time itself. Regardless of natural repercussions we leave on this planet, everyone wants to leave something meaningful before they die. 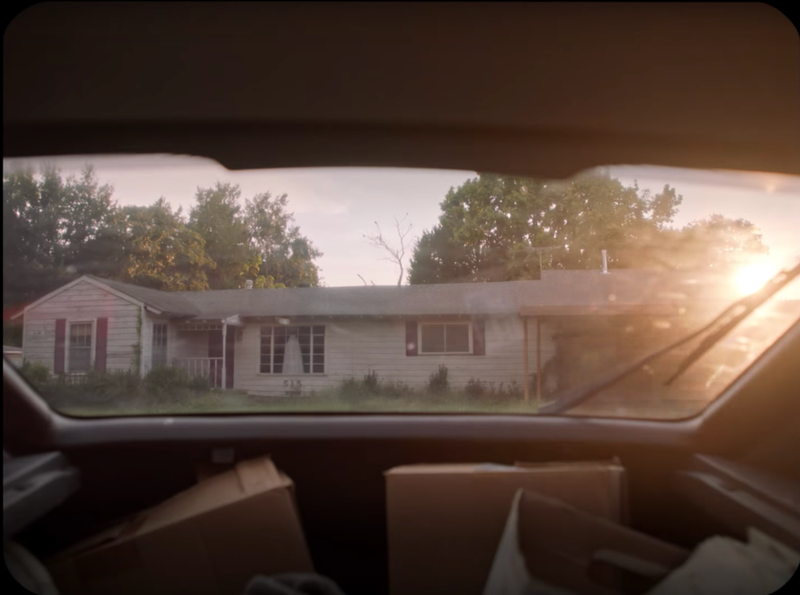 In one scene, there is a monologue by a house guest, played by Will Oldham, talking about existence and the universe. "A writer writes a novel, a songwriter writes a song, we do what we can to endure...We build our legacy piece by piece and maybe the whole world will remember you or maybe just a couple of people, but you do what you can to make sure you're still around after you're gone." This idea is somewhat birthed out of a naturalistic worldview, but it stands as a central theme in the film. 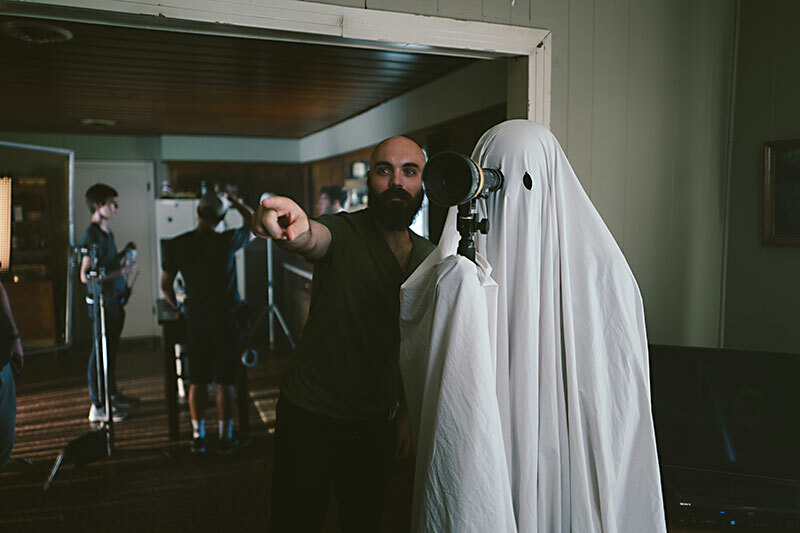 David Lowery and Casey Affleck on the set of "A Ghost Story." Powerful simplicity is one of the most amazing tools in filmmaking. This film was so remarkable and emotional the first time I saw it. I absolutely loved the film's quiet nature, limited dialogue, and extremely long takes; even a 6 minute take where Rooney Mara is grieving by eating a full pie. Many people complained about this uncomfortably long scene, but I realized for someone who has lost someone so close to them, they must know what it's like to just sit there, by yourself, in the silence, just eating, and not doing anything else. It's not a romanticized grief that's shown in so many other films. It's just a haunting quiet stillness. The film is shot in a 1.33:1 aspect ratio with rounded corners, giving it a filmic vibe, as if it was shot on an old home film camera: adding even more to the nostalgia. Every scene in this film is filled with such strong, but subtle emotion. My favorite still from "A Ghost Story." This shot represents perfectly the film as a whole. M is leaving her old house (and in the process, somewhat leaving the memory of her late husband). She's moving on with a mind stained by the memory of her husband that will forever be connected to that road, neighborhood, and house. This image of the ghost gazing at her driving away, possibly represents what she is viewing in her own mind. The film is so hauntingly emotional; it not only makes you question the brevity of life, but also think about the the people you love, and the very nature of time itself.